Carroll Wayne Belardi was born on September 5, 1930 in St. Helena, California. The six foot left hand hitting first baseman, went to Santa Clara University getting signed by the Brooklyn Dodgers in 1949. He hit .292 with 19 HRs in his first year in the minor leagues. He went to play in the New England League but was pulled out of there before the league folded due to financial problems. In 1950 he would hit over 22 HRs at AA Mobile. 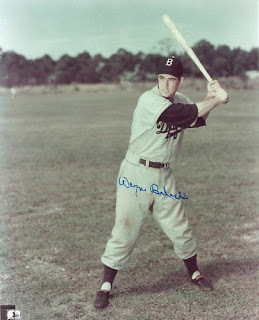 In 1951 he followed with a .302 batting average, 20 HRs & 33 doubles at AAA Fort Worth. 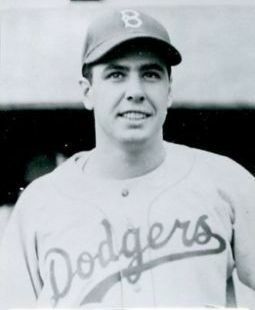 He made two brief September appearances with the Brooklyn Dodgers those years, making the big league roster by 1953. 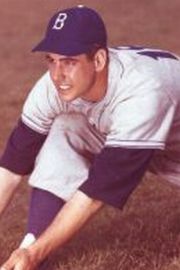 Belardi would be Gil Hodges back up first baseman in 1953 and part of the 1954 seasons. The big minor league slugger showed power at the major league level as well, hitting 11 HRs in 163 at bats in 1953. He batted .239 drawing 16 walks (.311 on base %) driving in 43 runs & striking out 40 times. He got two pinch hit at bats in the 1953 World Series going hitless both times. After playing in just 11 games in 1954 he was traded to the Detroit Tigers in early June. He hit 11 HRs there as the back up to Walt Dropo for the rest of the season. In Detroit he batted .232 driving in 24 runs with seven doubles. He was back in the minors in 1955 between the Pacific Coast League & AAA Buffalo where he combined to hit another 23 HRs with 72 RBIs. In 1956 he was back up to the majors, backing up Earl Torgenson in Detroit. That season he hit a career best .279, with 6 HRs & 15 RBIs, although it turned out to be his last year in the majors. At the end of the season he was sent to the Kansas City Athletics along with Ned Garver, Gene Host, Virgil Trucks and $20,000 for Jack Crimian, Jim Finigan, Bill Harrington and Eddie Robinson. He was soon sent to the AL New York club in 1957 in an eventual 12 player deal. He finished his six season MLB career at age 26 with 143 hits 28 HRs 74 RBIs & a .242 batting average in 263 games. Belardi passed away in Santa Cruz California in 1993 at the age of 63.